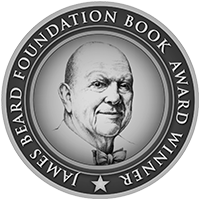 Beer is back in the kitchen! Since I used it for my Bavarian Beer Roasted Pork last week I don’t want to let go of it. This time it’s mixed into a batter that makes the most amazing fried fish: a thin crisp layer that keeps the fish juicy on the inside! 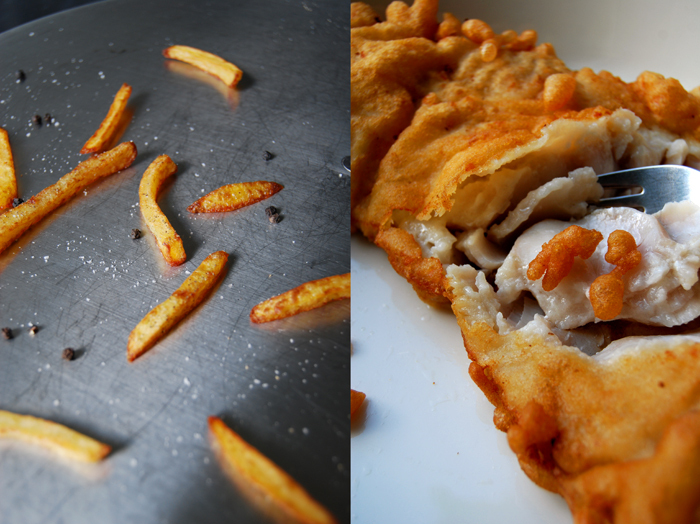 I had the best fish and chips in my life when we lived in the north of England. In our temporary hometown of Whitby, you can find England’s best fish and chip restaurant repeatedly awarded The National Fish & Chip Award. If you ever visit this beautiful town in North Yorkshire, I can only recommend stopping at Quayside at the pier to enjoy this treat. It’s fantastic! Although I know that I can’t compete with them, a family of third generation chippies, I still wanted to reach the high standards that we got used to while we lived there. 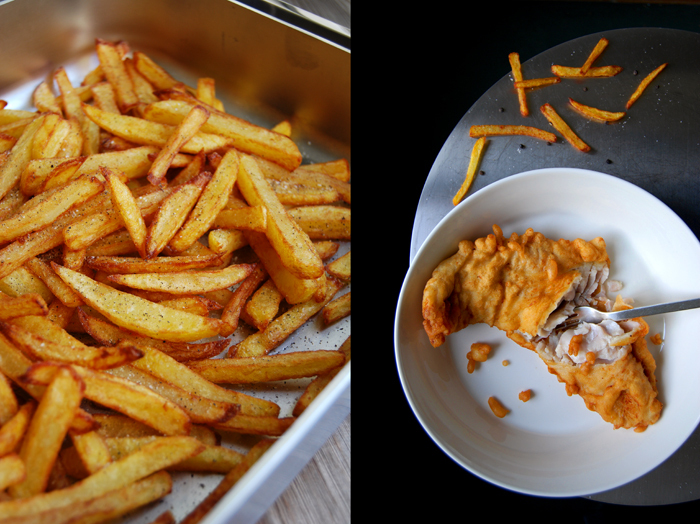 I bought good quality fish, beer and potatoes, the three crucial ingredients for this meal, and started my first batch of fish & chips! The result was delicious and surprisingly easy to achieve. I used a large pot (the same one I use for my jams) and lots of sunflower oil. Cod or haddock with firm meat works best, the filets shouldn’t be too thin (about 1 1/2 cm / 1/2″) to avoid them turning soft and mushy. 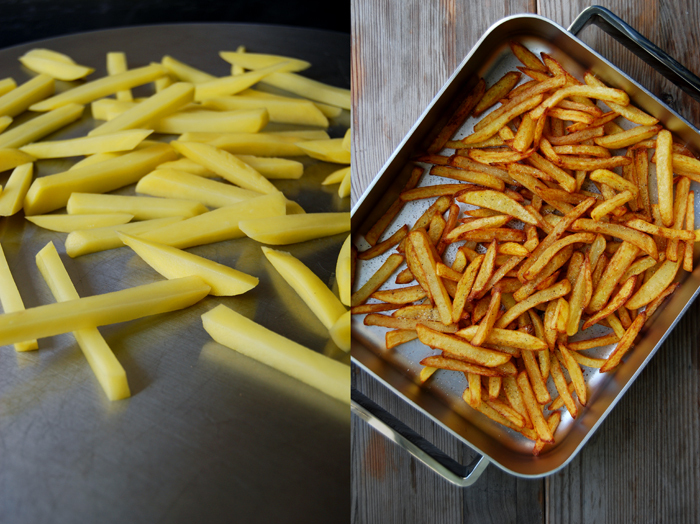 For the chips, you should always use the best waxy potatoes you can find and cut them into thin strips. I wanted mine golden, slim and crisp and you will only succeed if they are cut the right size. Another secret I’ve learnt is to fry them twice and put them on kitchen roll for a few seconds before you sprinkle them with salt, or like I did, with some added crushed pepper. In Germany, we like to put fried fish in a bun, but we enjoyed it in traditional British fashion, with only chips on the side. We left the mushy peas out, a tradition that I never really got into. 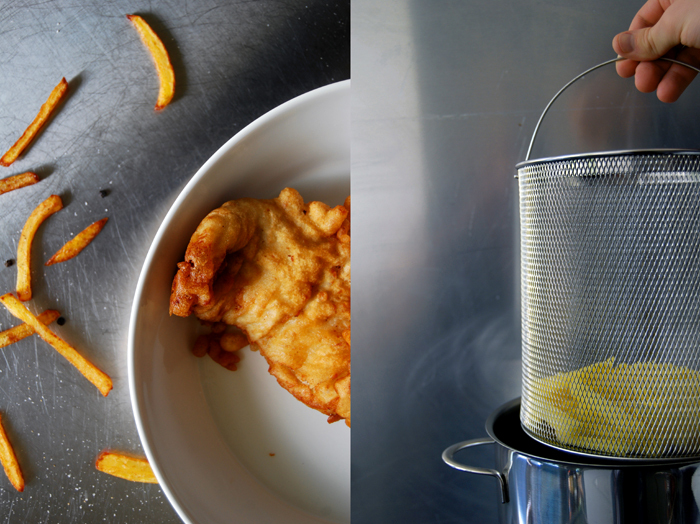 For the chips, it works best if you use a large pot with a frying basket. If you fry them without a basket you will have to take them out with a slotted ladle which takes a bit longer. The oil is very hot, so you should always keep that in mind and fry with lots of care. Although this is a child friendly meal, the preparation isn’t! I fried the potatoes first followed by the fish but you could also do it the other way around. 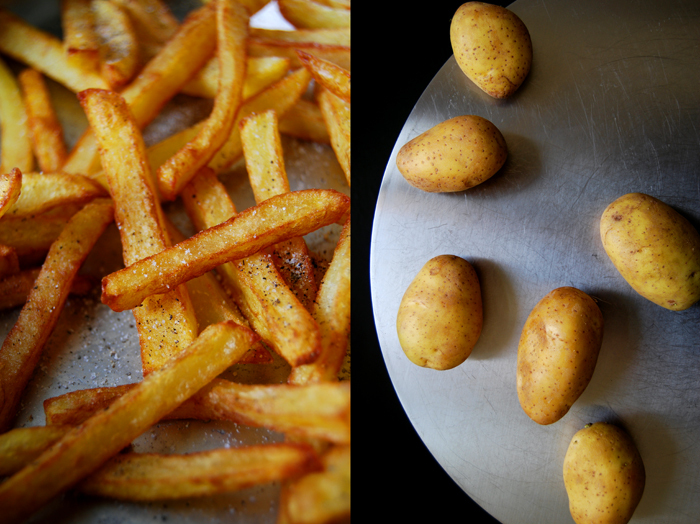 Rinse the potatoes and dry them well between kitchen paper, fry them in 2-3 batches. Heat 1l / 2 pints of the oil in a large pot. Check if it’s hot enough with a wooden toothpick, little bubbles should form around the toothpick. First, fry the potatoes for 4 minutes until light golden, shaking the basket gently after 2 minutes (or use a slotted ladle to move them around). After 4 minutes, take them out, let the oil drip off and spread them on kitchen paper to remove excess oil. Fry them a second time for 3 minutes or until they are golden brown, mind that they don’t get too dark. 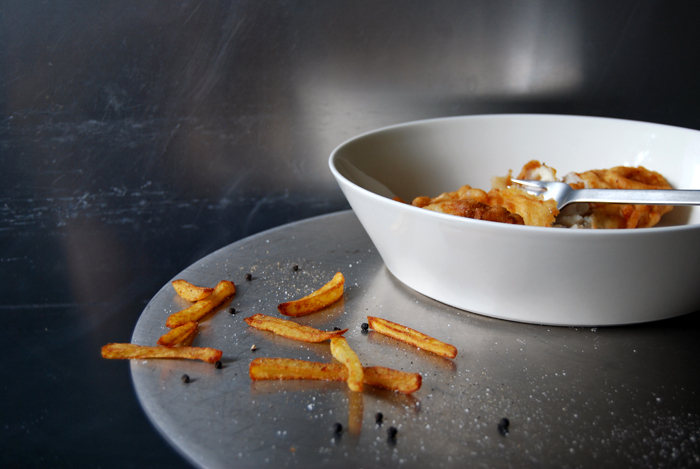 Take the chips out, spread them on kitchen paper and put them in a large bowl. Sprinkle them with salt and pepper and continue with the next batch. Add the remaining oil to the pot and heat it up. 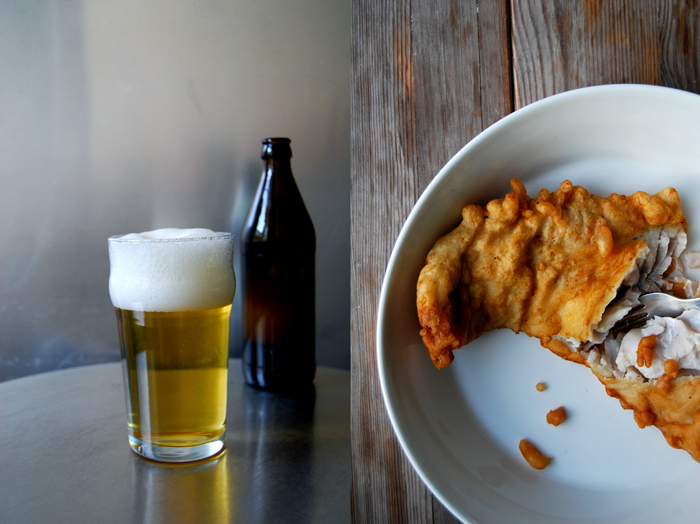 Mix the beer and flour until combined. 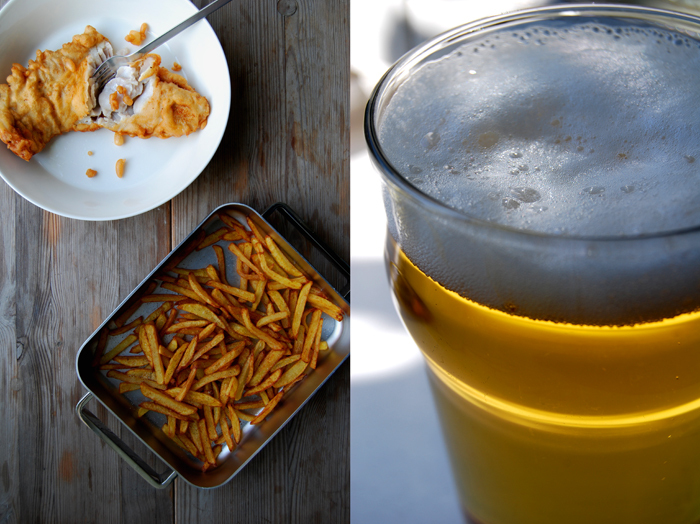 Beat the egg white with a pinch of salt until stiff and gently fold half of it into the beer flour mixture. 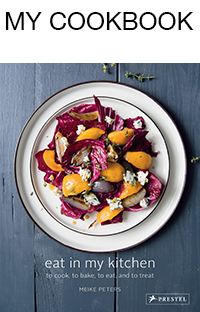 You can use the rest of the egg white for something else. Pull the fish through the batter until it’s coated all around. Check that the oil is hot enough and fry the fish (without the basket) for 4 minutes or until golden and crisp. Take it out and put on kitchen paper to remove excess oil. Season with salt and serve with the chips.